Building a relationship with your local plumber or local plumbing company is very important in today’s day and age. 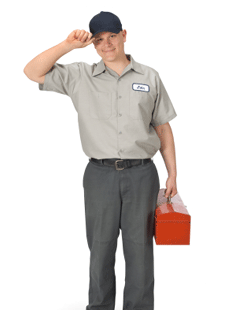 The plumber can keep your septic system and plumbing in top shape. The plumber can also maintain and repair your home heating system that will keep your family warm all winter long. Most people just wait until its to late by waiting until it breaks before they decide to call a plumbing company. This actually winds up costing more money in the long run sometimes when drains backup and when pipes leak they can damage rugs, floors , walls and other parts of the house. If you have a frozen pipe, the plumber can be there, if your toilet doesn’t flush, the plumber can also be there. No matter what time day or night the plumber can be there to protect the health of your family as well as protecting the health of the nation as a whole. Its very important for every family to have a relationship with their plumber just as they would have one would there doctor or pharmacist. The best way to find the plumber that is perfect for your family is to look online or in the yellow pages and start calling around and asking what services they offer as well as there rates. Its always best to choose a local plumbers as it will be cheaper since they won’t have to charge you for a “trip charge” as some companies to if you live outside their service area. That’s right! Most manufactures recommend that you service your boiler or furnace at least twice a year. 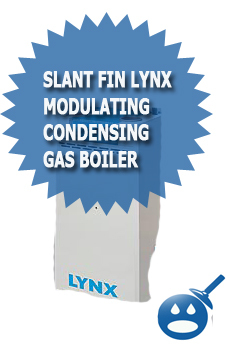 The plumber can come and do such things as adjust your electrodes, change the fuel filters and nozzles on oil fired units, change thermo-couplings on gas fired units, install new heating units and even change the complete boiler from oil fired to gas fired with a conversion package. The plumber can repair a lot of other things on your boiler as well. If you need your pipes bleed the plumber can bleed your oil or gas burner’s heat loop pipes to make them free of air, leaving you with no more noisy pipes. 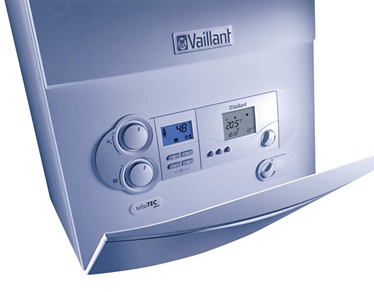 They can also change the boiler controls that may break as well such as the aquastat, zone valves and even the boiler circulator pump. Your hot water heater is one of the most used parts of the plumbing system. Everyday millions of people take baths and showers without even thinking how important the water heater is until it breaks down and cost big money to fix. The licensed plumber can drain and clean your water heater free of sediment as well as adjusting the water heater temperature so that you can enjoy hot showers and baths all year long without losing hot water for a day. Its a good idea to have your water heater cleaned at least once a year to extend the life of the water heater as well as to prevent and unforeseen failure. In almost every household there is a leaky kitchen or bathroom faucet. These small drips over time to not only waste a lot of water, but they also start to damage the faucet / fixture as well. You should either hire a plumber to fix or repair the leak or just outright change the faucet. Every year people spend thousands of dollars on car tires, sports equipment, computers and so much more, yet the plumbing fixtures get neglected. Are you tired of standing in your tub or shower pan with the water up to your ankles, maybe you are tired of brushing your teeth to only have the sink fill up on you while doing so? If this is the case, you will need to call the plumber to come and give you a good drain cleaning and inspection. There is a lot of great technology that plumbers use these days to help clean and inspect your sewer drain lines. Make sure to call the plumber to have you drains and pipes cleaned and inspected for damage. Millions of bottles of drinking water are bought each day, and then we wind up with millions of plastic containers that not only fill up our landfills but are a complete waste of resources to produce in the first place. You can hire a plumber to install a whole house water filter for you and that would save you money and also reduce your carbon foot print on the Earth as well. Whole house water filters can give you great tasting water day after day with out all of the hassles of having to go to the store to buy bottled water. You can have the plumber install a whole house water filter for about half of the price you would normally pay for bottle water for the year. Many people replace their plumbing fixtures when they are remodeling or when they do not like the look any more, but the problem is that plumbing fixtures need to be changed out more often and that is another thing that the local plumber can do for you. Just think about it for a second, you upgrade you cell phone plan when you need more minutes, get that extra cable channel when you want to watch the newest movie or special sports event, but when it comes to saving one of the Earth’s most precious resources most people couldn’t be bothered to spend a few dollars when in fact they need to call the plumber and install new up to date fixtures that will reduce water use. Believe it or not many houses do not have outdoor hose hook ups for their garden hose. A simple outdoor hose bib can allow you to hook up a garden or utility hose to do such things as wash your car, which can save you a trip to the car wash and also a bunch of cash. Most car washes cost anywhere between $3 – $20 dollars depending on the upsell and what extras you decide to buy and off course you still need to drive there are also use gas. If you hire a licensed plumber to install a outdoor hose bib you can literally wash your car all the time for way less then you would if you went to the car wash. You could also so other things like wash your outdoor furniture, fill the swimming pool and so much more. The plumber can help you avoid those irritating trips to the local laundry mat if you had him hook up a washer hook up as well as a slop sink. Imagine just walking into your back room or basemen and being able to do your laundry anytime of the day with out the huge hassles of leaving the house. The plumber can hook up your washing machine and slop sink for a reasonable price and in the long run you will save money and time compared to what you would have spent by going to the laundry mat. If you have lots of tile or wood floors and your feet are always cold when you are walking around you could have you plumber install radiant floor heat for you. Not only does radiant heat keep your floor warm it helps save energy as well. The plumber could install radiant heating for you in your new home being built or even in your existing home. There are different types of radiant heating supplies that can insure that you can install it anywhere in your home or business. The bathroom is a commonly visited room for you and your family, but when you invite company or guests over things could start to get crowed fast and in fact many people hesitate to invite people over because they only have one bathroom. The plumber could install a new bathroom for you in an existing room and then you could invite as many people over as you liked as well as maybe even have some family move in with you to share the cost of the rent and the bills. There is no need to live in that big house all by yourself. Hire a plumber and have him install you another bathroom. 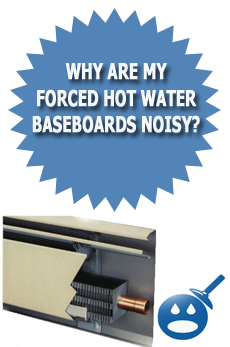 Why Are My Forced Hot Water Baseboards Noisy? I am thankful that I discovered this website, precisely the right information that I was looking for!